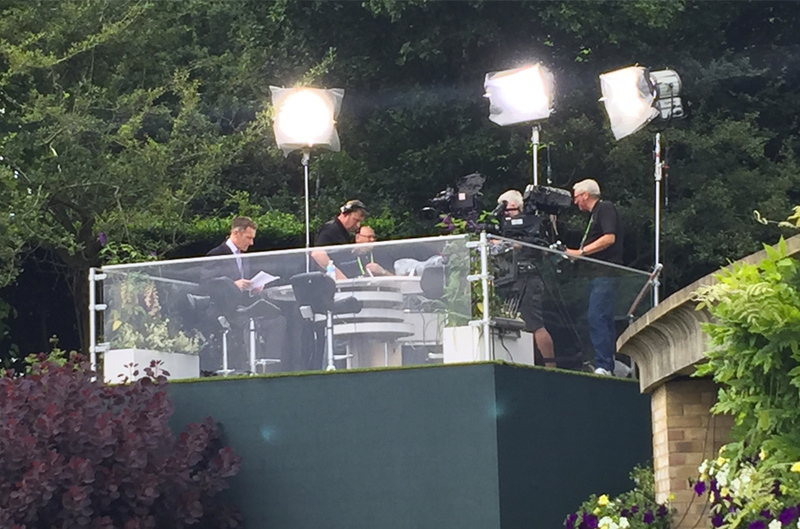 Located atop Henman Hill at the All England Lawn Tennis and Croquet Club, the small setup has a unique view that brings more greenery and surroundings into the broadcast. 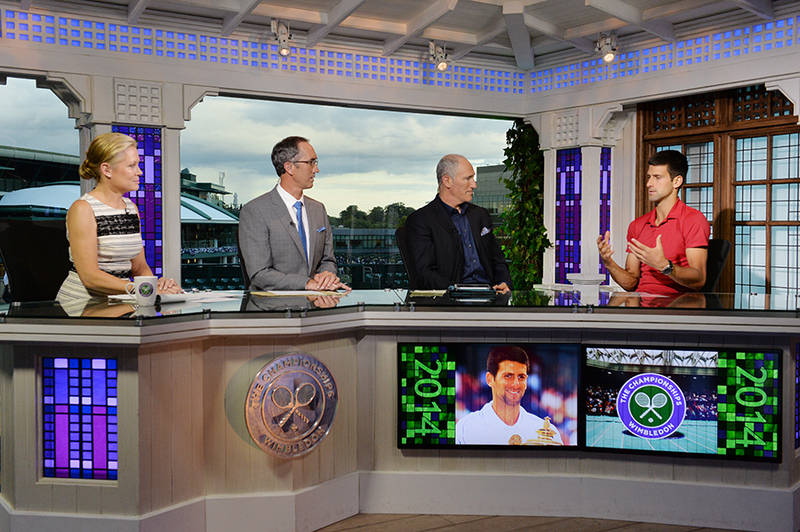 The studio space is shared with the BBC, with ESPN having it during daytime coverage. 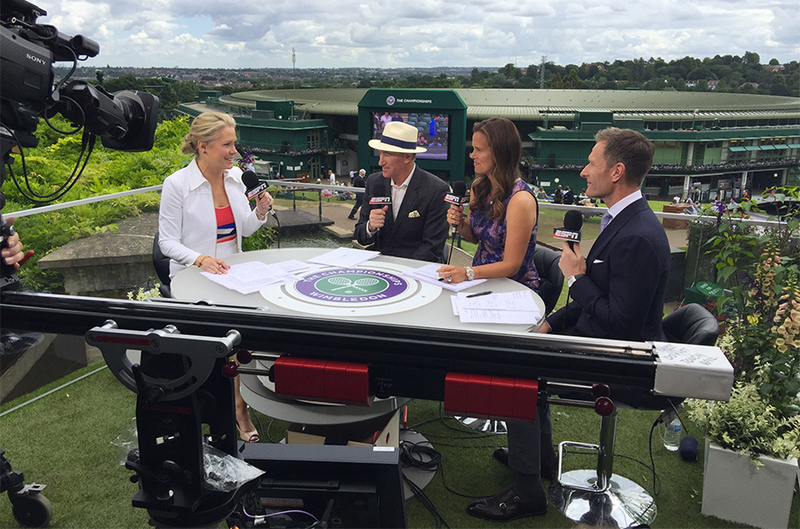 ESPN tried this same concept for last year’s US Open in New York, leading them to bring it across the pond for Wimbledon. 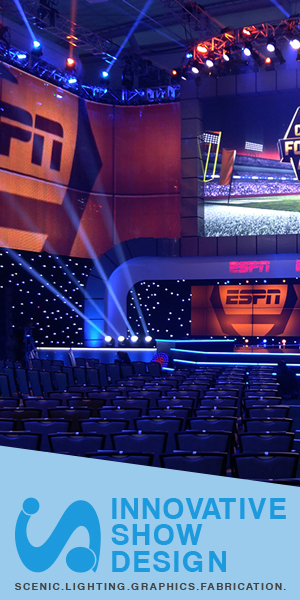 ESPN also has an indoor studio, which includes a large anchor desk and views of the facility, which has been in use since 2012.